Toyko news website Netolabo feature! Thank you Asako Hirowatari at Netolabo for this great feature! Feature in the Times Newspaper! I was so excited on Sunday to be featured in The Times newspaper- so proud! It's been a really exciting week thanks to a lovely feature by This Is Colossal, so proud to be featured- thank you! 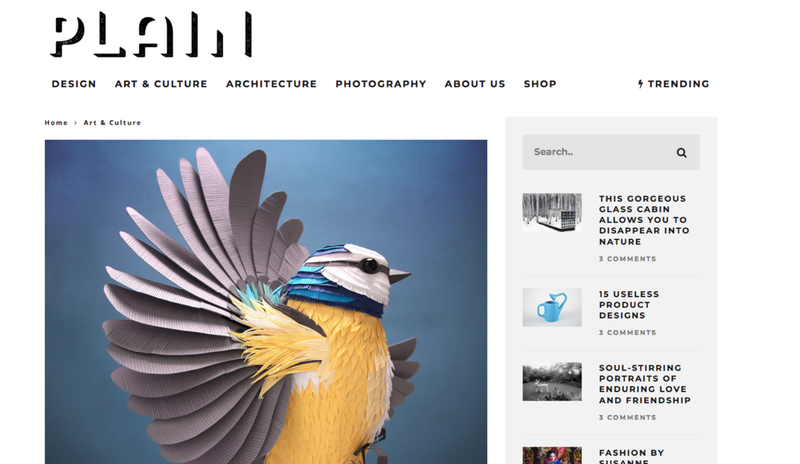 Thank you Kala for your lovely feature in Plain Magazine, a very inspiring design site. I've become a member of the Paper Artist Collective! I'm so excited to have joined the Paper artist collective. A global community of incredible paper artists.